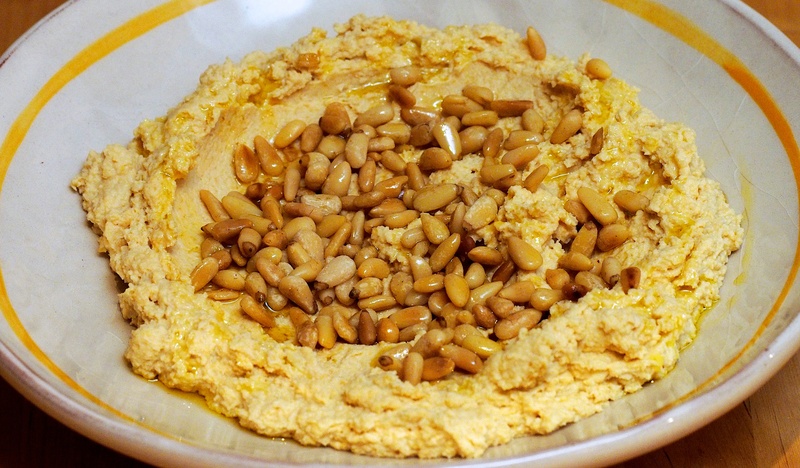 Such a good recipe for hummus we couldn’t stop eating it and had to make another batch! Once you’ve bought the tahini you may as well use it up. Drain the chickpeas, keeping 50ml of the juices from the tin, and rinse. Put the chickpeas into a food processor, add the garlic cloves and tahini, and process for a few minutes. Add the reserved can juices, then half the lemon juice and the sea salt, and process until smooth. Taste and add some more lemon juice, if you like. Scrape the hummus into a dish, drizzle generously with your best olive oil, sprinkle with the toasted pine nuts, and serve as a starter, with breadsticks and crudités for pack lunch, or with a selection of other mezze dishes.